The following post was written by Rae Abileah, Middle East Coordinator at our sister organization, CODEPINK. Global Exchange has partnered with CODEPINK, the US Campaign to End the Israeli Occupation and over 100 peace and justice groups for the Move Over AIPAC! 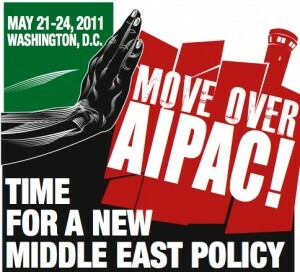 conference taking place in Washington, D.C. on May 21-24, to expose the AIPAC lobby and build the vision for a new US foreign policy in the Middle East. Sign up today. One year ago, on April 14, 2010, I was pulling a bleary-eyed all-nighter at the heated divestment on the UC Berkeley campus about divestment from US corporations profiting from the Israeli occupation. I was there to testify in support of the bill as a young Jewish-American of Israeli descent. On March 18, UC Berkeley’s student senate had voted 16 to 4 in favor of divestment. A week later, the vote was vetoed by the student senate president. What was behind the defeat of the resolution? One primary influence: The American Israel Public Affairs Committee – AIPAC. In a shocking video, top AIPAC official Jonathan Kessler responded to a question about the divestment fight at Berkeley by saying, “We’re going to make sure that pro-Israel students take over the student government and reverse the vote…This is how AIPAC operates in our nation’s capital. This is how AIPAC must operate on our nation’s campuses.” And indeed, this year, the perfect AIPAC-Manchurian candidate has taken office: UC Berkeley student body president Noah Stern is a former AIPAC intern (who committed well-documented voter fraud to get elected). This year, from May 21-24, AIPAC will hold its annual convention, bringing more than 8,000 people from all over the country to our nation’s capital to discuss, commemorate and strengthen the special relationship between Israel and the United States. In addition to AIPAC’s die-hard supporters, more than 1,000 of those attending will be college students representing over 300 campuses from all 50 states, over a quarter of whom are student body presidents selectively targeted by AIPAC. Each year these students receive formal invitations in the mail, offering them a free trip to Washington, D.C. to participate in the weekend-long AIPAC seminar followed by a full day of lobbying on Capitol Hill. The goal of this gathering: To secure the relationship between Israel and the United States, to promote further sanctions on Iran, and to ensure continued- if not increased- military aid to Israel. “A great resume builder,” the invitations typically say. Some of the students who will be attending are already informed about the Israeli-Palestinian conflict, but many others are not. Once the convention begins, they are inundated with the fear-mongering policies of the second most powerful lobbyist organization in Washington D.C. (just behind the AARP). This year, the gala keynote address will be given by Israeli Prime Minister Benjamin Netanyahu, who will most likely invoke rhetoric about the “global delegitimization of Israel”- a new term given to advocates of justice critiquing Israel’s human rights violations. 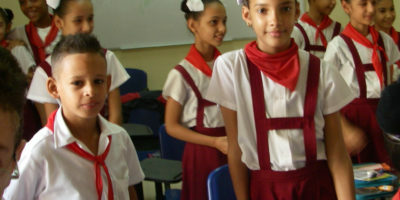 There will likely be little, if any, discussion of the expansion of illegal settlements, the ongoing construction of the illegal apartheid wall (in many places built with 24-foot high concrete), Israel’s exploitation of Palestinian water resources, the violence of Jewish settlers toward Palestinians, the suffocation of the people in Gaza, or any of the other serious offenses occurring every day in the Occupied Territories. Speakers and workshops include topics such as critical examination of the Arab world uprisings and the implications for Israel, the “threat” of Iran, and many sessions on the history of the region that will undoubtedly exclude the Palestinian narrative and current reality under occupation. One session is even titled “Israel Improving Palestinian Lives”! AIPAC’s central focus is to ensure continued U.S. aid for Israel, financially (to the tune of over $3 billion a year of our tax dollars), and politically. The U.S. hesitated to condemn the dictatorship of Hosni Mubarak during the Egyptian revolution, because it was well aware that a genuine democracy in Egypt might not be beneficial for Israel. In response to the uprisings in the Arab world, the Israeli government wants even more American dollars (out of our pockets) to “secure itself.” And recently the U.S. vetoed a UN Security Council resolution calling for an end to illegal Israeli settlements on Palestinian land. American support for, and enabling of, continued Israeli violations of international law and human rights encourages anti-American sentiment in the Middle East and works in direct contrast with our national interests. AIPAC’s relentless pressure on Congress now extends to our nation’s college campuses as well, where it seeks to influence student elections and opinions. But as Peter Beinart’s now viral piece noted, the next generation of American Jews are committed to standing on the side of justice, rather than the AIPAC-endorsed story. And in the case of the UC Berkeley campus divestment campaign, as is the case with the growing youth movement across the country, the diverse array of student cultural groups stood committed to human rights and divestment. The tide is turning, and it’s time for AIPAC to move over and make way for a new US foreign policy in the Middle East, one that includes the end of military aid to Israel until it complies with international law. As the main financier of the Israeli occupation, the fulcrum of change must happen here in the U.S.
CODEPINK Women for Peace has partnered with the US Campaign to End the Israeli Occupation, the US Palestinian Community Network (USPCN), Jewish Voice for Peace, and more than 100 peace and justice groups to organize Move Over AIPAC – a simultaneous policy summit along with a series of creative actions and cultural performances in Washington, D.C. timed to coincide with AIPAC’s annual policy meeting. Move Over AIPAC will expose the negative implications of the lobby’s influence on U.S. foreign policy and promote an alternative approach that respects the rights of all people in the region. Speakers at the events will include life-long journalist Helen Thomas, Ralph Nader, Holocaust survivor Hedy Epstein, The Israel Lobby authors John Mearsheimer and Stephen Walt, Palestinian writer Laila El Haddad, Dr. Patch Adams, CODEPINK and Global Exchange cofounder Medea Benjamin, and many more widely renowned experts and activists. From UC Berkeley to Florida International University, over a dozen chapters of Students for Justice in Palestine have signed onto Move Over AIPAC and there is a growing student scholarship fund to support young people who want to be in DC for this momentous occasion. As a college student I may have been unsure about AIPAC’s policies, but with the knowledge I have now about the lobby’s work on behalf of Israel’s military violence and abuse, I can clearly see that as a young Jew, AIPAC does not speak for me. 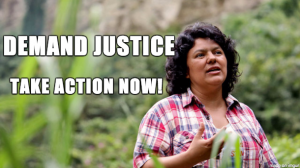 Don’t let your tax dollars continue to buy occupation – join us in DC to move over AIPAC! 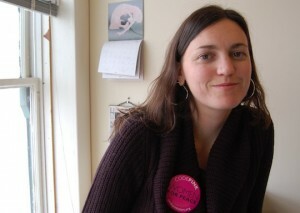 Rae Abileah is the Middle East Coordinator at CODEPINK Women for Peace and a member of Jewish Voice for Peace / Young Jewish Proud. She invites you to register today to attend Move Over AIPAC. 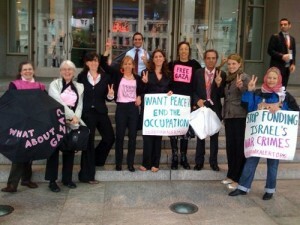 Rae is an American Jew of Israeli descent living in San Francisco, CA and can be reached at rae@codepink.org.